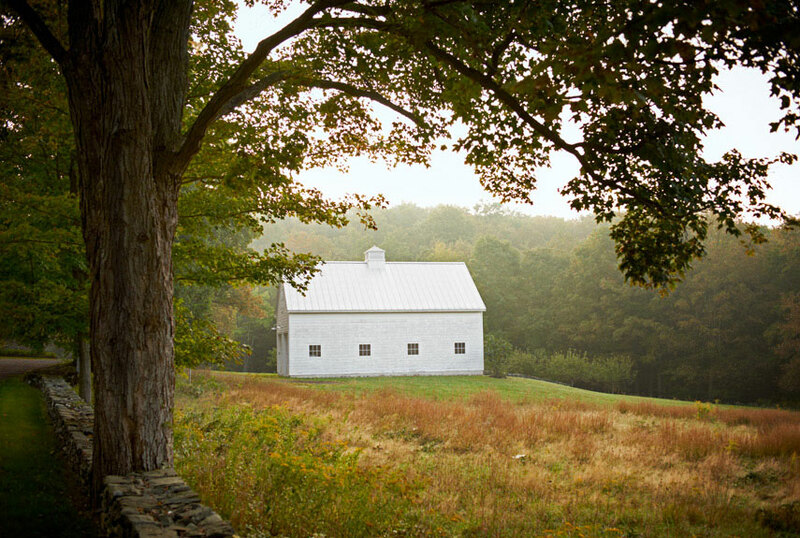 It's a dream of all (admit it, all) NYC dwellers to have a country retreat. Kathryn Windley was no exception to the rule. She was tired of her grueling hours as an art director for a Manhattan ad agencies, and was recently divorced. 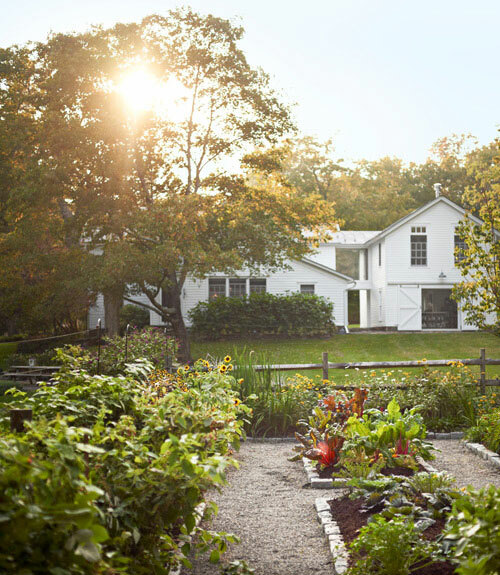 She added a new twist to the New Yorker turned farmer by actually marrying the realtor who found her the property a few years later on the 20-acre grounds! 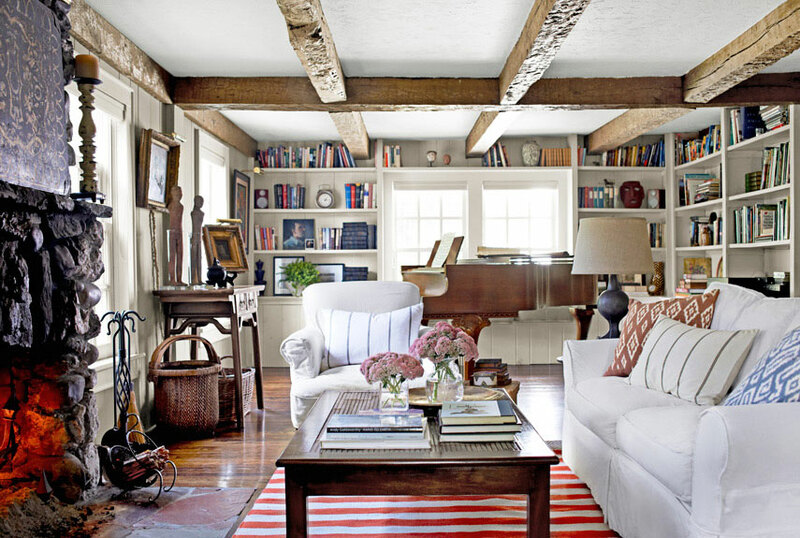 This living room is kept bright and cheery by the white upholstery and brightly striped rug. In NYC, unless you pay for a separate studio, on never has space in their apartment for a studio. One day I hope to have the space to paint and draw again. The barn is actually a garage they designed to look like a barn. 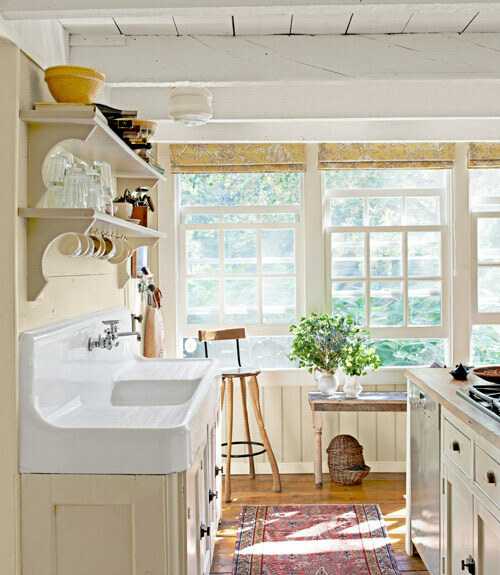 I adore this kitchen, and Kathryn claims the farmhouse sink is what sold her on the property. The runner was a once a damaged full-sized carpet she had cut and bound to fit the kitchen.